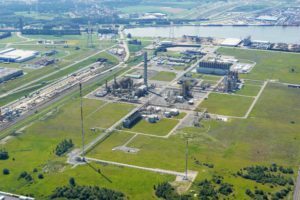 Borealis, one of Petrochemicals Europe’s members, announced on 6 October that it would build a world-scale petrochemical plant in Antwerp, Belgium to produce propylene, one of the most important building blocks for the chemical industry by 2022. The propane dehydrogenation (PDH) plant will have a production capacity of 750,000 tonne per year making it one of the largest facilities in the world. The facility will be located at the existing Borealis production site in Kallo (Antwerp), Belgium. The project will benefit from the synergies already existing between the different companies located at the Port of Antwerp for logistics support or for hydrogen selling, a by-product of the dehydrogenation process. It should also include efficient cogeneration, which could contribute significantly to the Flemish climate and energy objectives. For further information, please read the press release of Borealis.